The chote baigans / baby brinjals are slit and stuffed with dry spices /masala and then cooked on slow fire in a rich and spicy curry. It is a delicious North India recipe. Wash and slit the brinjals into four parts, while keeping them together at the stalk. Keep them aside. Fill the split eggplants with the mixed dry spices. Heat olive oil in a pan, add finely chopped onions and sauté them till golden. Add tomato puree and ginger \ garlic paste cook for few more minutes. Add stuffed brinjals in to the onion, tomato mix , cover and cook. All the leftover dry masala to be added at this point. Keep turning the brinjals and cook well from all sides on slow fire.When brinjals are cooked from all sides, cook for another five more minutes on a low flame for blending well. Once ready garnish with fresh Coriander leaves and serve hot with tandoori Roti , chapatti or Parantha (all Indian breads). 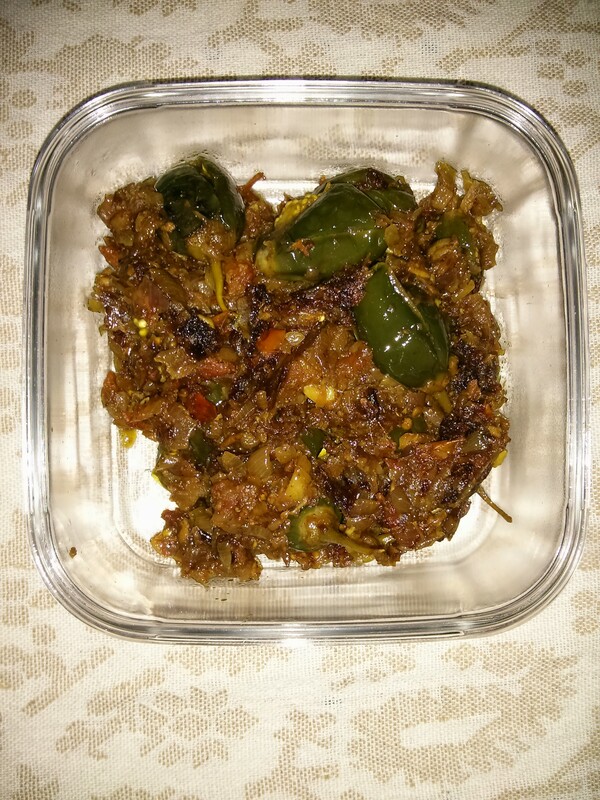 Hope you would give it a try , it is a delicious side dish with the main course & let me know how you liked it !